← NEW Seniors Exercise Program! Happy New Year and if you are one of the many families who have moved to University Heights: Welcome! 2014 was a year of collaboration that brought many changes to our community. Through a joint grant application with Westmount Charter School and the University Heights Community Association, Alberta Blue Cross awarded us a healthy communities grant of $50,000. It was one of only 4 awarded in Alberta and the only one in Calgary. An additional $45,000 was raised by Westmount parents and the community. 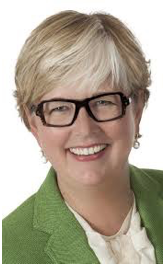 Through our MLA’s office, Donna Kennedy-Glans, a matching grant was awarded by the provincial government in the amount of $80,000. In total over $180,000 was raised, which allowed for not only a sports court, but installation of several picnic tables around school/community fields. These facilities are a great addition to our community. The sports court will be maintained by the school and is available to our community in the evenings , weekends, and during the summer. The new tables areas can be used as outdoor classrooms by both schools and will make a great picnic areas. Most of all, our relationships with the schools, the city and the province have all improved. Last year also brought a number of other positive changes as a result of the hard work of many volunteers. Our Soccer program is expanding and as the demographics of the neighborhood changes, we are seeing more registrations of younger children. We have a new website that is able to handle soccer registration and community memberships. Memberships are also up, which allows the Community Association to offer these programs and services and to communicate these initiatives to the community. We have a lot planned for the next year. We will work towards protecting and further developing and enhancing our community green space. In the spring we will introduce a bench sponsorship program for green spaces throughout the community. We will work with developers to address complex traffic and parking concerns. We will try to introduce some new social and exercise events in collaboration with the Foothills Mennonite Church who have generously provided community space. As always we are looking for volunteers who can contribute an hour or two a month to lend their support to community. Please contact volunteer@uhcacalgary.org if you can spare just an hour or two a month. If you have any questions or comments please do not hesitate to contact me at president@uhcacalgary.org. Stay tuned for an exciting year. 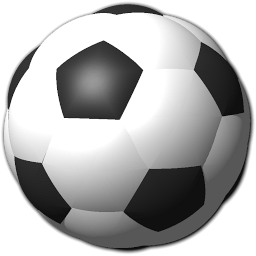 Soccer registration will be the same as last year, with parents able to register online starting Feb 1 2015. We will have an in person registration at the University School as well (date to be determined). Please check the community website and watch for the sandwich boards around the community for important dates. I am exited to work with our community members to make this another successful soccer season! The University School “Kids Can Conserve” Club would like to thank the University Heights Community for their generous donations to our E-Waste Challenge. It was great to see so many community members drop off recycling and help our efforts in this challenge. Our hallways were filled to the rafters with unused, broken and outdated electronic items. 5065 pounds of e-waste was collected and kept out of the landfill. Thank you to all of you who contributed to this exciting challenge! University School Kindergarten registration has started! Any child living in University Heights, Parkdale, Point Mackay, St. Andrew’s Heights, West Hillhurst (west of Crowchild)and University of Calgary Student Housing born on or before March 1st, 2011 is eligible to begin Kindergarten in September 2015. 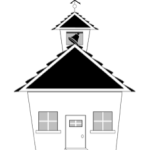 To register your child for Kindergarten, please bring your child’s birth certificate or passport and proof of address to the school during office hours (8 am to 4 pm). If you have any questions, please call the school office at 403-777-6240. Membership Drive 2015 a Success! 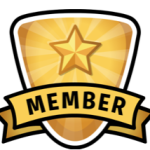 Thank you to all community members who renewed their memberships to date. We surpassed the membership numbers budgeted for 2015 already and there are still membership renewals coming in every day. We also know that with soccer registration just around the corner, there will be even more memberships to come. For those that haven’t yet renewed, it’s never too late. Simply renew on-line at UHCAcalgary.org or drop off your membership form and payment at the Foothills Mennonite Church. Memberships are $20 a year and help the community association cover the costs of communications, community events, and more! Unsure if your membership is up to date – no problem! Simply email treasurer@uhcacalgary.org or membership@uhcacalgary.org to check. THE OUTDOOR SPORT COURT AT WESTMOUNT CHARTER SCHOOL VAN HORNE CAMPUS IS IN PLAY! 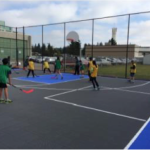 On Friday, November 14, 2014, Westmount Charter School’s Van Horne Campus held the grand opening of our new Sport Court and Green Space. The court is located on the south side of the school (2215 Uxbridge Drive NW) and is the result of many months of hard work and collaboration among Westmount Charter school administration, teachers, students and parents; University Heights Community Association; Alberta Blue Cross, and the Government of Alberta. There are several playgrounds in the community, but prior to the construction of this area, the school had no outdoor recreational space where the students/families of the community could enjoy the many activities that a sport court can offer. The Westmount court will allow the children to play ball hockey, basketball, and many other games within the safety of the sport court walls. Westmount is grateful for the support of our Community and we are pleased to be able to give back by providing this safe and versatile play space for all local families to enjoy. The well-being of our children is of the utmost importance to us and being able to make a difference for our students as well as all children in the community is very rewarding for us. Our goal was always larger than just giving children a beautiful and safe place to play. This is also about building community, and showing children we can make dreams come true with commitment, planning and hard work. Ultimately, it’s the tremendous effort of our all of our partners and our school and neighbourhood communities that will bring lasting positive change to Westmount’s Van-Horne Campus and this community. eBooks and Library Apps Coaching: Drop in for help with Library apps including OverDrive, 3-M Cloud, Zinio, Freegal and Hoopla. Devices must be set-up and ready to use before the program. Familiarity with your device, including passwords needed to access apps, is required. Thursdays, Feb. 5, Mar. 5, and Apr. 2 @ 2 – 3:30 p.m. No registration required. Computer Technology Coaching: Drop in for one-on-one, volunteer help on using the Internet and Microsoft Office products. Saturdays, Jan. 10 to Apr. 25 @ 11 a.m. – 1 p.m. No registration required. Drop-in Family Storytime: Drop in for stories, songs and finger plays the whole family can enjoy. Ages 2 to 5 with a parent/caregiver. Saturdays, Jan. 3 to Apr. 25 @ 10:30 – 11 a.m. No registration required. Introduction to Social Media : What is social media and why is it so popular? Learn about social media basics and the growing popularity of Facebook, Twitter, Pinterest, LinkedIn and WordPress. Tuesday, Feb. 10 @ 2 – 3:30 p.m. Registration required. Adult Book Club: Call for details on specific books. Tuesdays, Feb. 3, Mar. 3, and Apr. 7 @ 7 – 8:30 p.m. Registration required. ESL Conversation Club (Intermediate): Practise your English listening and speaking skills in this six-week program. Wednesdays, Mar. 25 to Apr. 29 @ 6:30 – 8:30 p.m. Registration required. Family Storytelling Circle: Discover the history and power of oral storytelling in this interactive program for story lovers of all ages. Join Jilliane Yawney to learn how storytelling can benefit and inspire your whole family. Thursday, Feb. 12 @ 2 – 3 p.m. Registration required. Tuesday, Feb. 24 @ 6:30 – 8:30 p.m. Registration required. Story PALS: Trained Pet Access League Society volunteers and their highly socialized dogs provide a calm, accepting presence for struggling readers to practice reading aloud in a one-on-one setting. Ages 6 to 12. Thursdays, Feb. 5 to Mar. 19 @ 6:30 – 7:30 p.m. Registration required. 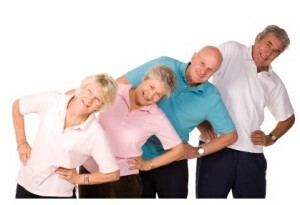 We would like to announce the new Seniors (55+) Exercise Program starting January 21st. The times will be 9:30 to 10:30 AM with refreshments at the end of the session. Best of all the class is free for all to attend. Note: This is a low impact exercise program. Our class focus will be on well-being through exercise with an emphasis on movement. As our physical backgrounds are in dance, we will be implementing dance techniques and structure to this exercise program. A general class might start by warming up through increasing the body’s circulation and flexibility with the help of chairs. We will then stand up and move to the center of classroom and use dance exercises to increase mobility. The main goal of our class is to incorporate a sense of community through an inclusive and enjoyable exercise practice. Therefore all the movement taught in the class will be targeted towards all levels of ability. We are both extremely excited to share this experience with you! Anyone aged 18-30 who is interested in a free meal and games (board games, floor hockey, ping pong) come join us at 6pm at Foothills Mennonite Church. Feel free to bring your favourite games. Please contact Charlotte for more information or to RSVP – 403-819-7605 or < href=”cmikalson@telus.net”>cmikalson@telus.net. What’s University Heights “Pub Night”? Pub Nights are a time to meet old friends and make new ones. Please feel free to join us in building community – part of what makes University Heights a great neighbourhood to live in. They are held at The Keg Lounge from 8:30 to 10:30 pm. Pub Night usually takes place on the Second Wednesday of the month. All (over 18!) are welcome! On December 8, 2014, Council unanimously approved the sale of a strip of public land along a major northwest transportation corridor. City Administration reported that the parcel of land was assessed by an independent appraiser and that the development of the site was severely restricted because of its location and limited access. A third-party appraisal of the property found site restrictions around access, size and utilities led to the lower valuation. Mayor Nenshi noted that it is a strip of land along the highway and nothing can be built on it. The City has examined the intersection, which is why they are confident there will not be an interchange in the future. Council found that the community associations have two specific concerns, one being the land needed for future transportation, particularly the BRT line that will be built along 16th Avenue and whether they’re getting fair value for the land. Council found that administration has answered both those issues to their satisfaction. The City plans to add one through-lane in each direction on 16th Ave and dual turns to ensure adequate future access to the hospital. The enlarged intersection will also include a pedestrian bridge to improve traffic flow. At this point, The City has no plans to build an interchange in the future. 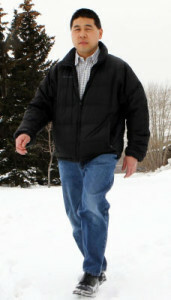 Administration stated that the land will not be needed for future roads. Administration found the sale price of $250,000 per acre fair value. Any amount The City does sell will be compensated with “publicly accessibly open space” elsewhere in the larger, mixed-use redevelopment to the north, which is to include commercial and residential space and a hotel. 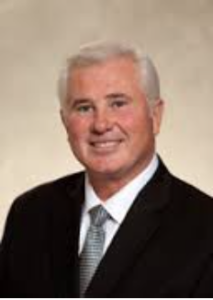 Councillor Ward Sutherland vows to ensure the developer will adhere to the 14 conditions imposed by The City to provide adequate transportation infrastructure, or else he will bring the project to a halt. In other words, if the conditions are unmet, the project will not get built out. Councillor Ward Sutherland is giving his personal commitment to ensure that Administration and the developer live up to the 14 conditions. Can you be a Snow Angel? Keeping our community sidewalks ice and snow free is so important. 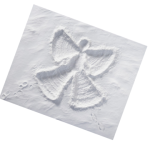 Snow Angels is a social marketing campaign initiated by The City of Calgary, Community & Neighbourhood Services, and Animal & Bylaw Services to encourage people to be good neighbours. The campaign encourages citizens to clear snow and ice from the sidewalks of their neighbours who may be less able to do it themselves – particularly older adults and persons with disabilities. How can we help each other? 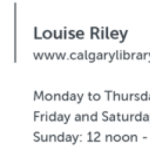 Visit www.calgary.ca for more info. Happy 2015! I hope you have enjoyed a meaningful holiday season with your family and friends. My husband and I were very grateful for the opportunity to spend special, rejuvenating time with our three sons, and extended family and friends. Looking forward to 2015 is exciting. In our constituency of Calgary-Varsity, there is a lot happening. Citizens in our communities are connecting with politicians– from all levels of government–to talk about how to best manage our remarkable growth, and to reach our potential. That means: navigating densification, especially along the LRT corridor; ongoing focus on investment in education and research; and positioning ourselves economically to be resilient in the face of oil price volatility. In anticipation of the Government of Alberta’s upcoming budget, our Constituency Office is hearing from many constituents—we want to hear your ideas and recommendations. As your MLA, I want your voice to be heard in these budget deliberations and decisions. As well, our Constituency Office is focused on keeping you informed on issues that matter to you. In 2014, we hosted town halls on renewable energy, and seniors issues, and in response to your priorities, we’ll be hosting a town hall on February 5th at the Triwood Community Association to focus on mental health. Our Constituency Office gets a lot of questions about mental health care, for all ages – children, teens, young people, adults and seniors. • Policy makers with the Ministry of Health to share Alberta’s plans to tackle these issue in the coming years. This town hall format is set up for your to get information, and for you to ask questions and get answers. We hope you will join us. Contact our Constituency Office if you have any questions. Again, my sincere best wishes for a peaceful and prosperous 2015. In November, the new sport court and green space was officially opened in University Heights community. This project was the outcome of collaboration among several community-based champions- Westmount Charter school administration, teachers, students and parents; University Heights Community Association; Alberta Blue Cross, and the Government of Alberta. It is not unusual to construct a new playground in a community, but what is heartening about this initiative was the emphasis on what the community and school really needed! They didn’t need another playground–they needed a sports court. And, people collaborating listened to each other and built exactly what was needed. Kudos! How Does Collaboration Happen? Not by accident! 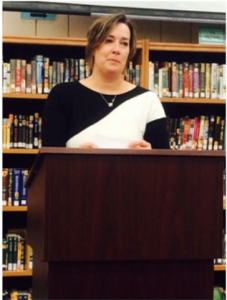 It took the leadership and will of a community leader and parent, in this case, Emma Smith. Thank you Emma for your community leadership!Emma is a Calgarian and passionate about sports. She grew up ski racing and later coached in this sport. Emma’s love of sport led her to take Physical Education at the U of C, then to pursue a Master’s of Science in Kinesiology. Throughout University she played women’s field lacrosse and is now the mother of two very active students at Westmount Charter School Mid-High Campus in University Heights. Westmount Charter School needed more outdoor sports and wellness space. Emma initially took on this construction project, as a parent. Through community outreach, Emma connected with Peter Khu, University Heights Community Association’s President, and learned that the community didn’t have a physical community or recreational centre. So, the idea of collaboration emerged. Then, corporate and government partners came alongside to support funding. NEWSLETTER SUBMISSIONSAdvertise your business, promotions, or special services. The newsletter is delivered to residents four times a year – Winter, Spring, Summer and Fall. Ads are in black and white. Rates vary according to size. Have a community event to advertise? Let us know. Questions? Want to Advertise? VOLUNTEERS NEEDED!Community involvement is key to the success of our association. There are many opportunities out there (soccer, newsletter deliveries, development, community events, etc) and only take an hour or two a month. If you can spare some time, please email volunteer@uhcacalgary.org.